I am in love with using coconut oil for beauty purposes. 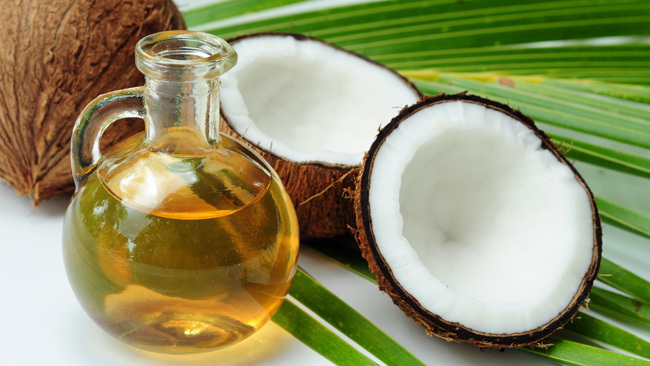 Prior to using coconut oil, I had read many things on Pinterest about the benefits of using coconut oil, but I never tried it until I was totally desperate with a terrible breakout. Rewind to July 2013. I had a terrible breakout of Perioral Dermatitis. I had tiny red bumps and breakouts on my chin that would NOT go away. I felt like an ogre. I tried creams and pills from my dermatologist but nothing was making this hideous breakout go away. Then I started researching homeopathic remedies for Perioral Dermatitis and stumbled across using coconut oil to get rid of the breakout. I headed to the grocery store and found coconut oil in the baking section. I was very skeptical about using it and kept the receipt, because dang, that stuff is expensive. Within one week the Perioral Dermatitis that haunted me for months was gone. I couldn’t believe it. I did more research about coconut oil uses. I began using it as a heavy duty moisturizer and as a hair mask once a week. I think coconut oil is a miracle beauty item. It smells like the beach and is so organic and natural to use. I regularly slather it on my face before bed. My fiance has found that using it with his shampoo has cured his flaky scalp! Head out to your store and start using coconut oil right away!